Technology has changed over time and influences the way people live. How technology has changed over time. Ways technology has influenced our lives. 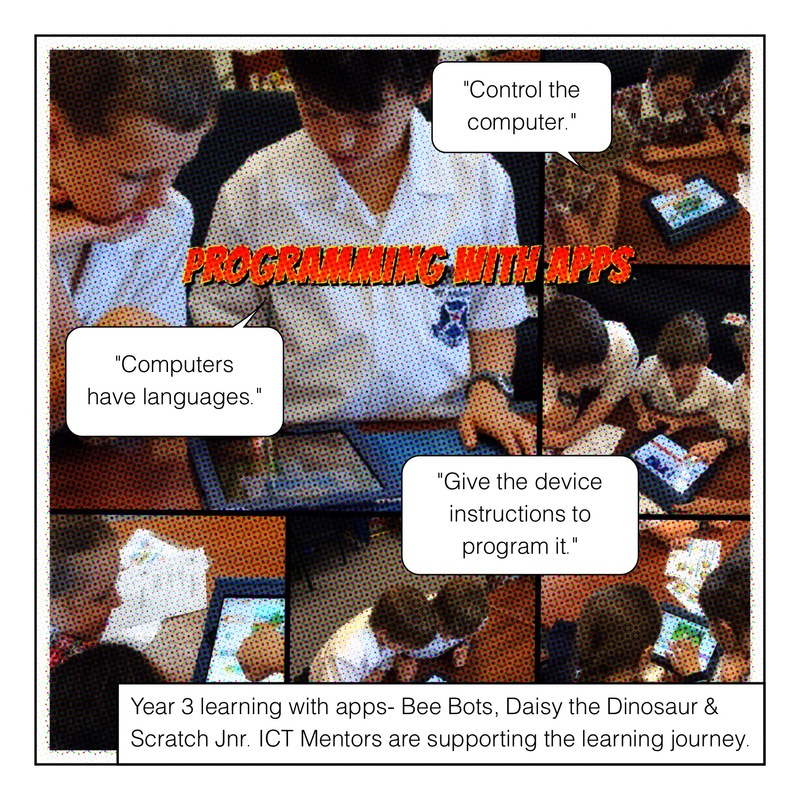 On Monday 27th April, select students from Year 3, with the support of the Year 6 ICT Mentors participated in a PROGRAMMING WITH APPS session. They experimented with following instructions and thinking computationally through the use programmable Bee-Bots and the Bee-Bot app. These tools are excellent for reinforcing directional and procedural language. Through the use of visual programming apps, the students also learnt to create simple programs. 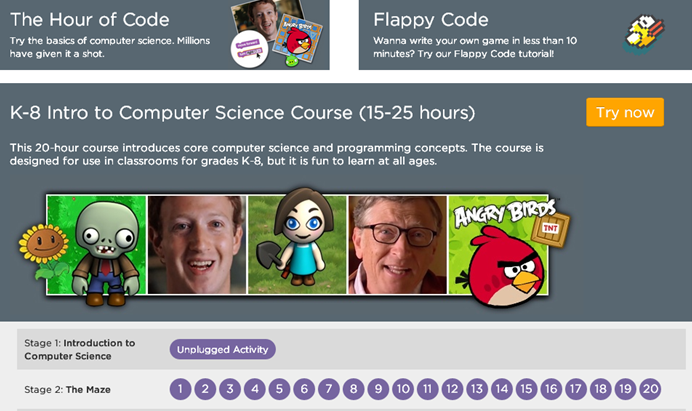 Apps like Daisy the Dinosaur and Kodable support students to learn to code by solving puzzles. 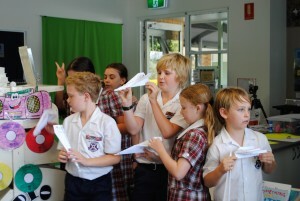 The ability to problem solve is a critical and creative skill for students to develop. 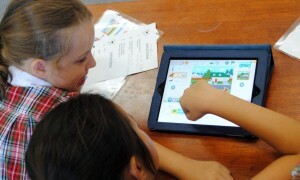 The students were now ready to create their own program using Scratch Jnr. 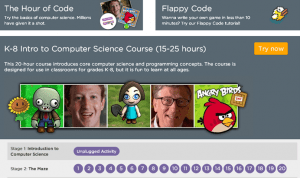 This app has a drag and drop interface designed specifically for programming with younger children. 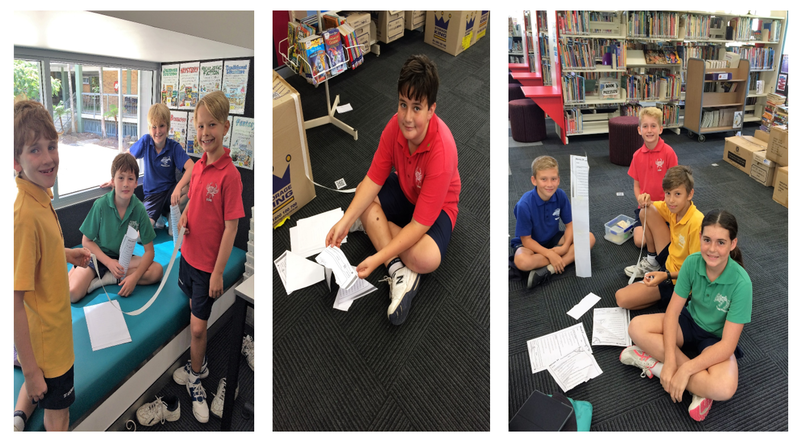 The students were given the task to collaboratively design a simple story, selecting an appropriate setting and writing an interaction between characters. This task made connections between the story writing process and computer literacy through programming. 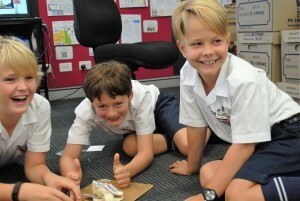 The ICT Mentors supported and directed the younger students exceptionally well at this stage. All these apps are available for free. 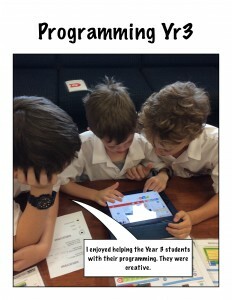 More apps can be found at Programming for Primary Students. If you would like to learn more, read some of our blog posts about programming on the JS Library blog or come and see the Bee-Bots in action during first break in the JS Library. 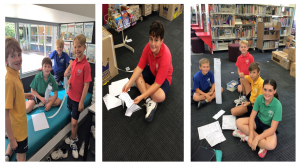 Creating a Maker Space is just one way that we can connect what happens in the library to the real world. 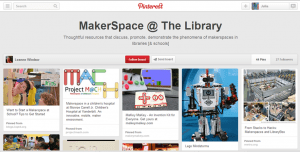 There are many versions of Maker Spaces. In reality it depends on many variables such as money, space and time. 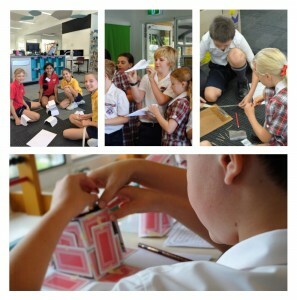 The Horizon Report 2014 (preview) has identified some topics that are clearly relevant and met by the use of Maker Spaces, Design Thinking and STE(A)M approaches to Innovative Teaching and Learning. See the MAKER SPACE@THE LIBRARY PINTEREST for some curated resources on this topic. Like most things, being creative and open minded can allow you achieve success and value add for our students. I am looking at ways we might do this as SALC. 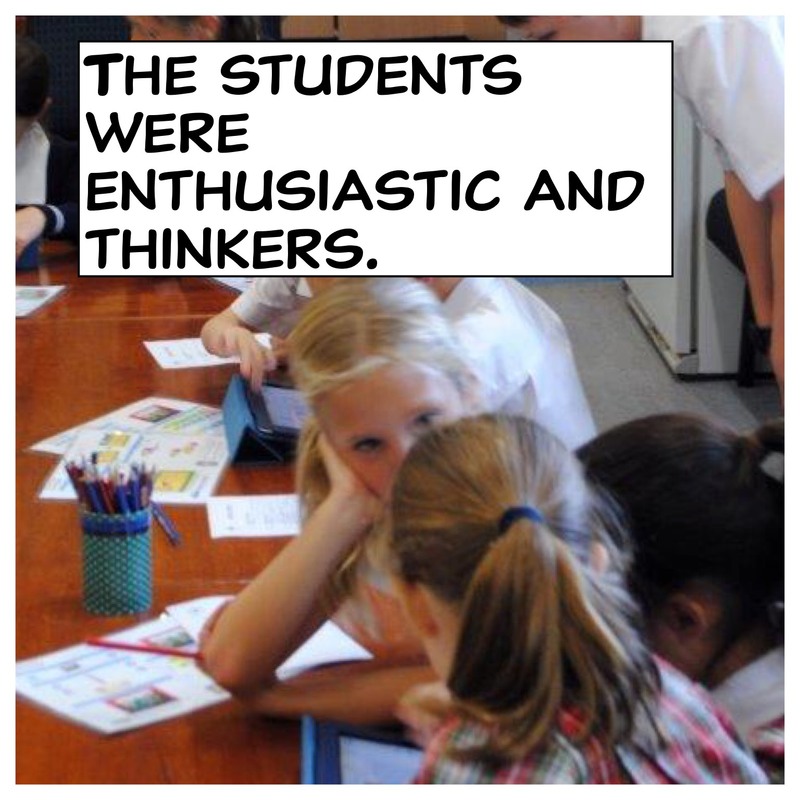 The Australian Curriculum – Technologies allows us to do this authentically and to fulfill the requirements of the curriculum (win win!). In the past students have participated in exploratory sessions with programming, designing apps, game making and digital story telling. I would like to further scaffold this with a design thinking approach, where the students design their own inquiry, rather than it being a structured teacher led experience. 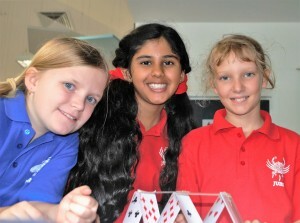 PS: This week I visited PIMPAMA STATE SECONDARY COLLEGE and saw their design thinking in action. Looking forward to seeing the next stage of their journey. Design Minds EXPLAIN from State Library of Queensland on Vimeo. Want to have a play? We have spent some of our reward points from Scholastic Book Fairs and we have purchased some Bee Bots. Bee Bots are some programmable robots that are excellent to use across the curriculum (lower primary). These are hassle free ICT tools for supporting the Technologies curriculum as well. 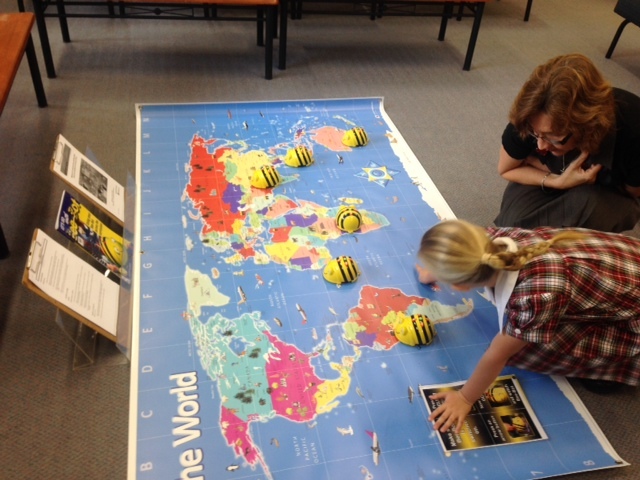 In the JS Staffroom we have the Bee Bots on a world map ready for your explorations. We have ordered more maps – just waiting on delivery! See this blog post Beebots Downunder for some ideas about how these are being used in classes. Great for literacy, maths, problem solving and geography! (Perfect for mapping UOI Year 2/3). We have six Bee Bots and they need names! 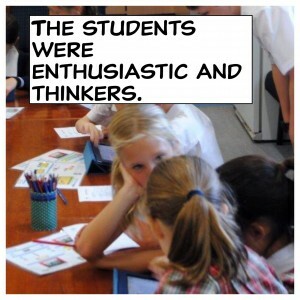 Please come and have a play with your class and suggest a name (and reason why). This beautiful picture book has stunning images that will fascinate the reader. A story about a boy,the ocean without any words. Scan the QR code below to learn more about this book and author. Beaches. Imagination. Other worlds. Photography. Voyages and travels. Imagination. Navigation: Locate some books also by this author in our library. See the library staff for your reward :).